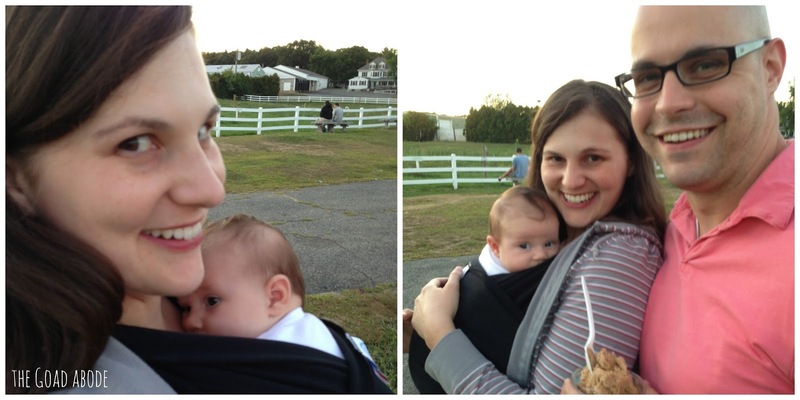 Over the weekend, we went apple picking. Our annual trip to an apple orchard is one of my favorite days of the year, so I was giddy to take Maggie for the first time. Maggie stayed awake for the whole time. I think she likes being outside (or maybe just enjoys the change of scenery). It's such a joy to watch her take in the world. 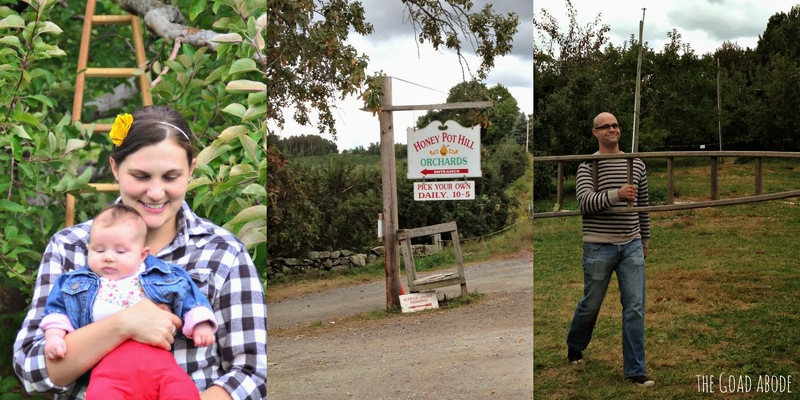 We've been to a few different orchards, but Honey Pot Hill is my favorite. 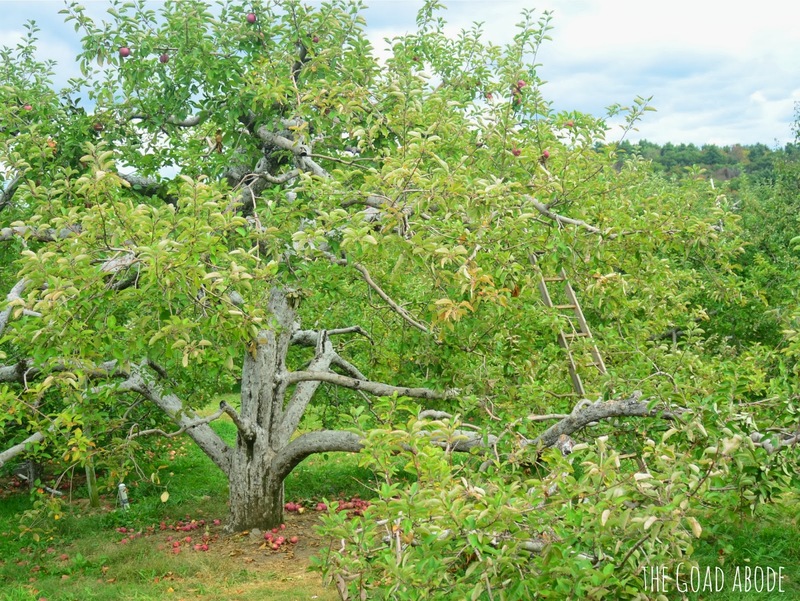 The orchard is spread over a few hills and they have ladders throughout to get the apples you can't reach. They also have a farm store, where they sell caramel apples, cider, cider doughnuts and more. The cider doughnuts melt in your mouth! And we ate them before I thought about taking a photo...oops! Ever since I made the super easy polka dot onesie, I have been trying to figure out more ways to use fabric markers. Seriously, they are so easy to use! Why not come up with more uses for them? That's when I thought of the diaper bag/luggage tag. I have tons of scrap fabric around and a lot of it is pretty cute. 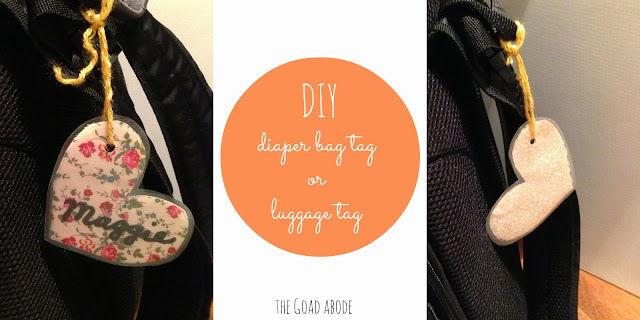 I had made a tag for Maggie's diaper bag out of some card stock, but it quickly got bent and tattered looking. A fabric tag would be more durable. For years, I prayed for a daughter. I didn't expect that having a girl would heal my heart. She isn't here to fill the void left by my mother's departure from earth over 12 years ago. Our relationship will no doubt be very different from the one I had with my mom. But at just two months old, that relationship has given me a better understanding of my own mother's heart and a glimpse of her love for me. 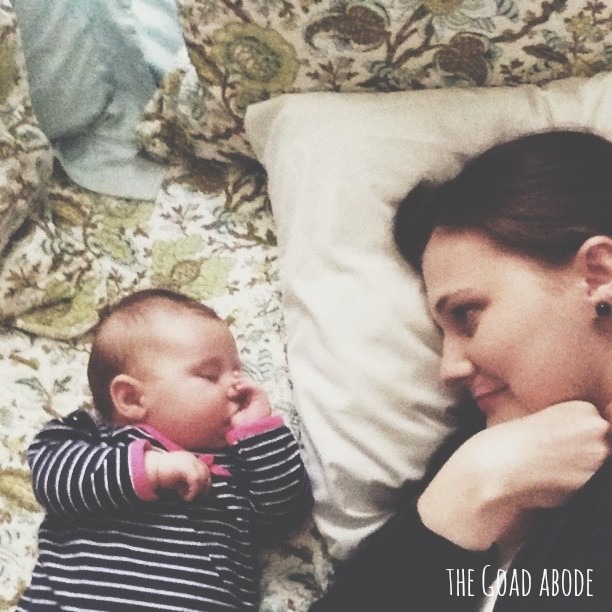 I don't know if there is anything that can prepare you for motherhood and the lens it provides for seeing the world. Friends told me it would be beautiful and you couldn't love anything more. But until I actually held this little girl with my genes who looks a lot like my baby pictures, I did not really know what they were talking about. It occurred to me recently that my three year blogaversary came and went...last month! That's right, I was so caught up in the new-to-me world of motherhood, I forgot about my blog's birthday. 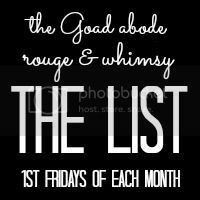 Also, last month I gained a number of Facebook likes and Twitter followers (that's right I noticed you), so I thought there should be some sort of pay off for those of you who read my blog posts, follow my tweets and FB posts. 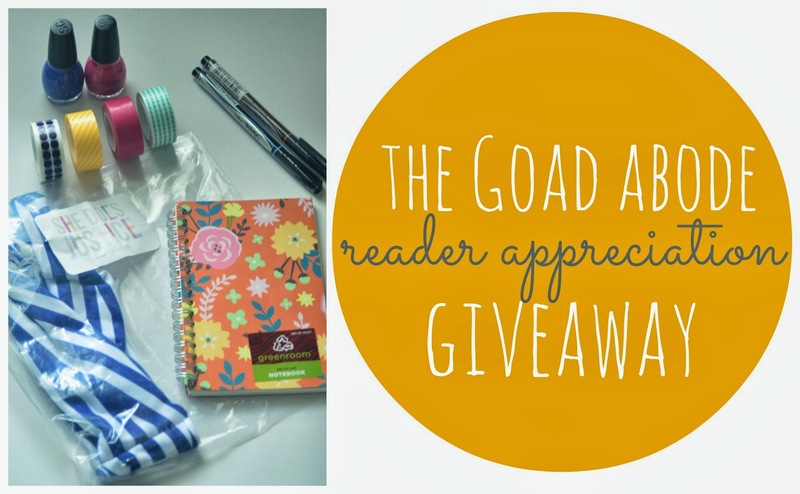 Why not a giveaway?! I am featuring a handful of my favorite everyday items. These are the things I use day in and day out. Who wouldn't love some happy mail? 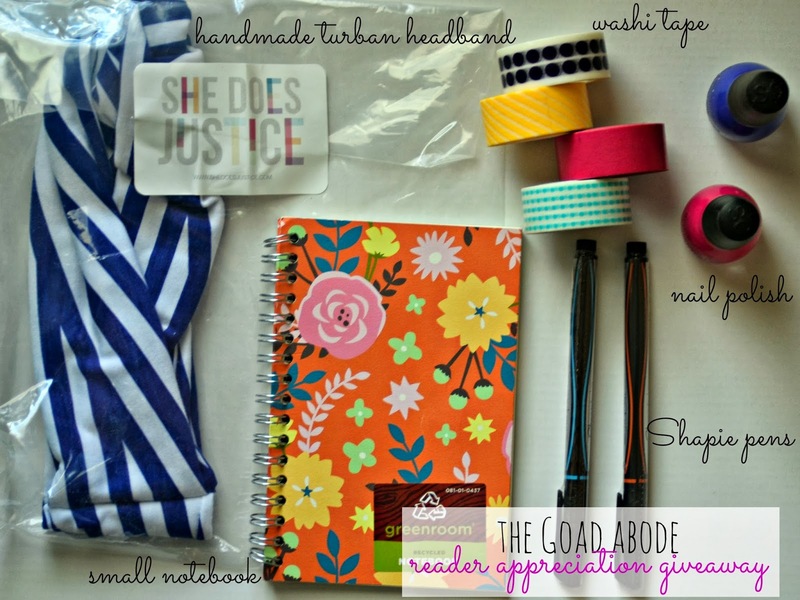 One lucky blog reader will receive a small box containing a beautiful striped turban headband from She Does Justice, 4 rolls of washi tape, 2 bottles of nail polish, 1 small notebook and 2 Sharpie pens. You may enter using Rafflecopter below. If we were meeting for coffee, I'd order a latte. I'm so thankful my appetite for coffee returned after the baby was born and I've been enjoying hot coffee (again) for the past month or so. ...I would tell you how I've been indulging in television since we got cable at the beginning of the month. I can't stop setting the DVR to record things like HGTV's Flipping Boston and LIVE! with Kelly and Michael. Seriously, this is what I watch. 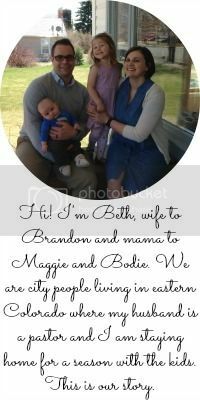 ...and I may admit to geeking out over Jen Hatmaker's announcement earlier this week! Seriously, what could be better than an HGTV show about the Hatmakers?! ...I would also tell you I'm trying to read too many books. I have the expected list of baby books I try to keep up with (reading about what stage we're in and try to read ahead a bit to know what to expect). I also started reading Why Cities Matter and am listening to the audiobook The Happy Gospel, which is currently available to download for free from Noisetrade. ...I cried when I took my baby girl in for her two month appointment this week. She had to have three vaccinations, but I'm so thankful she's healthy and growing well. Do you ever catch yourself repeatedly saying something negative about or to yourself? Like an internal dialogue where you tell yourself a lie? When I was in high school and college, it was "people will never want to be friends with me..." When I was single and starting my career, it was along the lines of "if I (fill in the blank) I'll never get married." Once I got married it became "because of (fill in the blank), I'm a terrible wife." 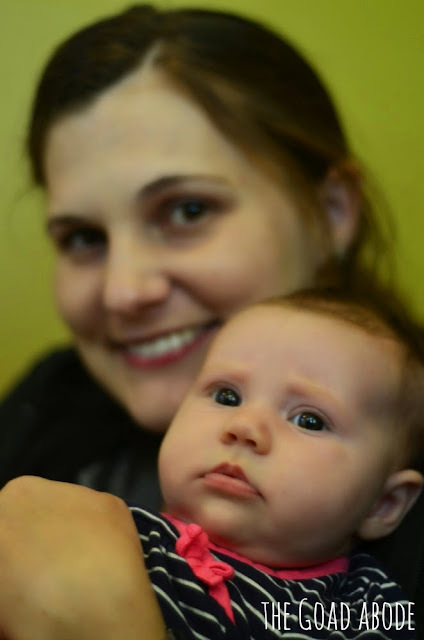 And now, just 10 weeks into motherhood I find myself saying, "I'm a bad mommy." On Friday, I caught myself saying the words "I'm a bad mommy" out loud to the dog. He sat there, wagging his tail needing to go outside. The fact that I'd been home for 40 minutes and spent that time making a quick sandwich for myself, then changed and fed Maggie, while overlooking the dog's apparent need did not make me a bad mom. Everyone tells you how fast time goes with your new baby, but I didn't believe it until I lived it. Maggie is going to be 10 weeks old on Tuesday. What?! My days are numbered before I return to work. It's all going by so fast. 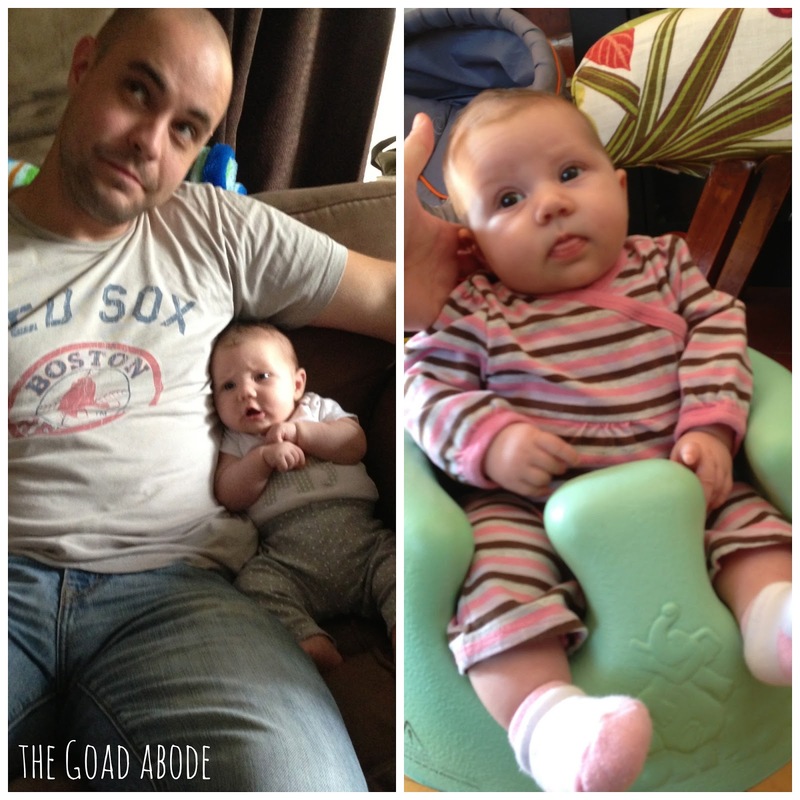 I got a lot of great advice on what I must have for Baby and I've tried a number of things. 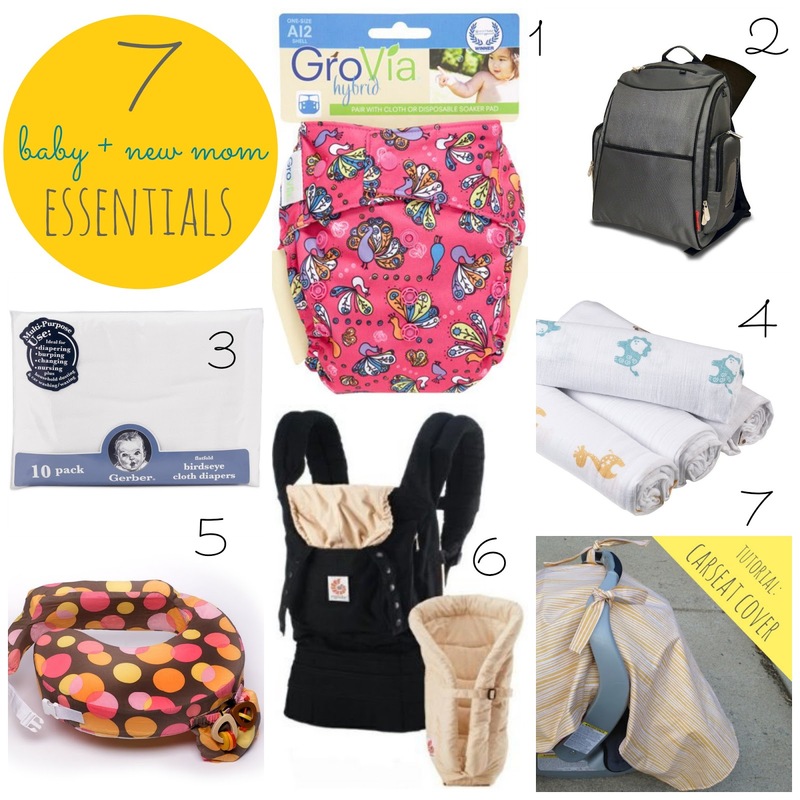 These are the baby items I've LOVED using and would recommend. I'd probably also tell you about them if I met you in real life (even if you're not a mom or pregnant). I mean they make my life easier and I use them every.single.day. (or I used them daily when she was younger). Back in the day, I used to run regularly. And by back in the day, I mean before I was married and before I blogged. My running days seem to have peaked when I was single, living in Baltimore. 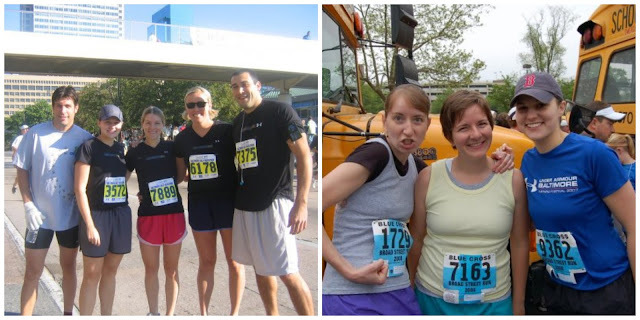 I even ran the Baltimore Half Marathon and the Cherry Blossom 10 miler twice (along with a few 10 and 5ks). For the past five years or so, running has been shoved aside. But I decided now was as good a time as any to get back into a running routine (side note: I am using the term "running" rather loosely). My hope is that by the time I return to work next month I will have created a new habit that sticks. Maggie's arrival has brought a season of change and I'm pushing myself to form good habits as a new mom. 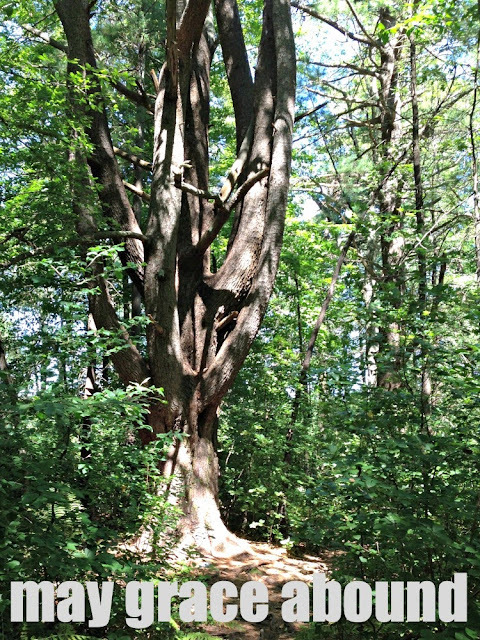 I don't want to get lazy, whether it is taking care of our child, our home or myself. In the past, I've loved my time on the pavement. It's therapeutic alone time (technically, I don't run alone most of the time since I have Maggie with me, but she sleeps so it's like being alone). I don't always feel motivated to get out for a run, but love the feeling when I'm done. I also really love outside time in the New England fall. 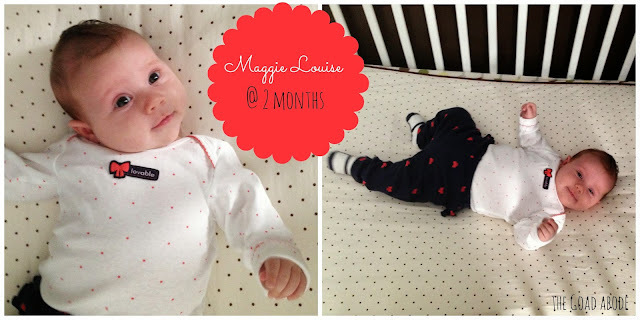 That's right, it's already been two whole months of life with Maggie. 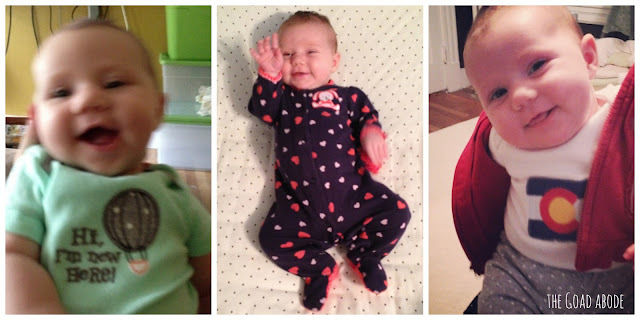 Her personality shines through more and more each day and we just can't get enough of it. 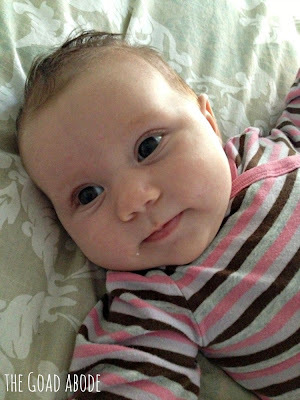 The smiles come more frequently (mostly in the morning), the cooing is music to our ears and she hasn't stopped wiggling. A few things you may not be able to tell from photos: she is still a good eater, she has an expressive face (especially her eyebrows) and loves people. She likes to look around and see who all is in the room. I think she's going to be a social one. Just as a friend had told me, "once they smile, it's a game changer" and boy, was she right. I wasn't prepared for how Maggie's smile would melt my heart. Whether it's a spontaneous smile or one I'm trying to coax out of her, I'm amazed at how sweet that grin is. And when she smiles out of recognition, well this momma's heart nearly skips a beat! 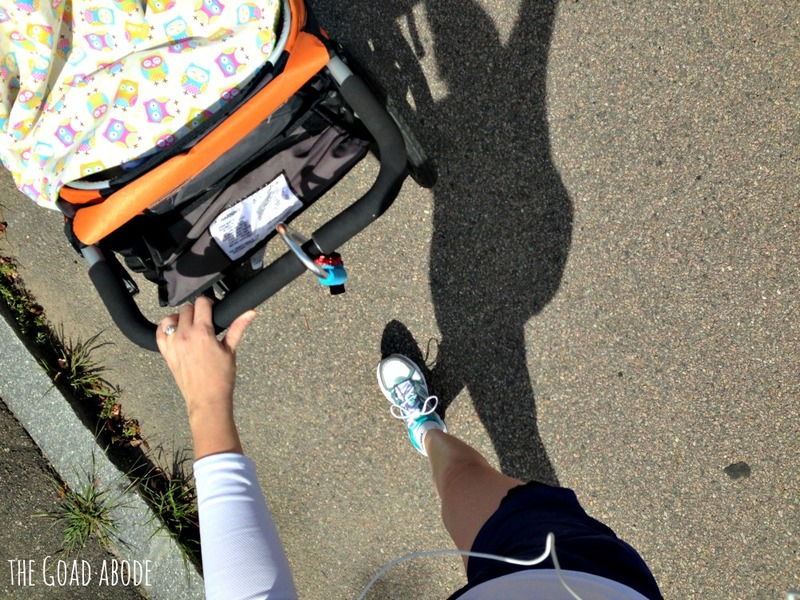 I'm not sure if it's being more aware of how long it takes me to get both of us out the door or if I'm getting faster or just skipping certain things that I used to always do, but we are getting out the door more smoothly. There have been days I've only had time to shave one leg (don't worry I got the other leg the next day) and I've also forgotten to put on makeup. But all in all, we are going more places and it doesn't feel as overwhelming to be gone from the house for more than an hour. I still have a lot to learn as a mom, but I am so happy to be figuring it out with this little girl. It is a privilege to be with her as she discovers the world. Just this week, she started staring at her fingers and I can't wait to see what she discovers next. If you frequent Starbucks, you've probably noticed the Pumpkin Spice Latte is back. And if you use Pinterest, your feed is probably bombarded with fall like images, i.e. apple and pumpkin recipes. I don't mind because here in New England fall is in the air; temperatures are dropping overnight and I've even noticed a few trees' leaves changing. While some may say it's too early and want to relish summer, I welcome the chance to pull on a hoodie when I get up in the morning. 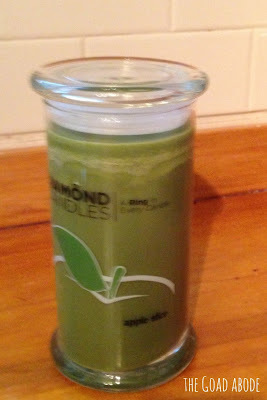 And I also love an excuse to light a candle to give our home an inviting fragrance. 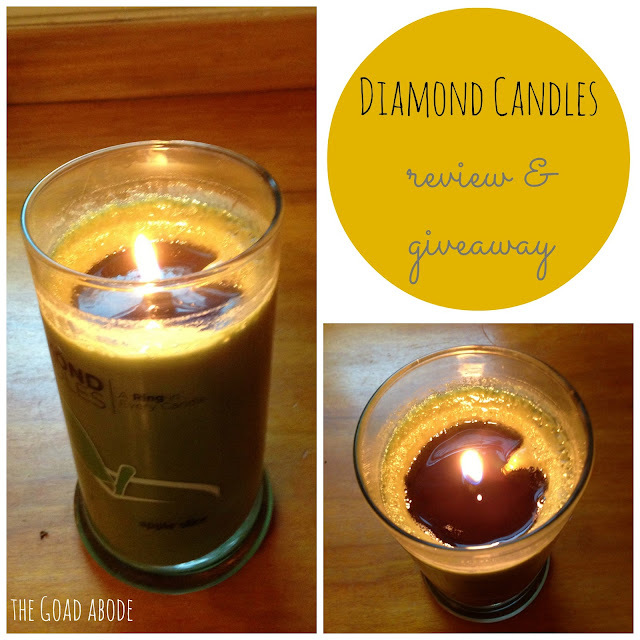 Diamond Candles has a number of candles that remind me of autumn from apple slice to pumpkin chai. I recently got the apple slice scented candle and have been enjoying its fragrance. I also love that it burns clean because it is made of soy. The other unique benefit of Diamond Candles is that every candle comes with a ring inside! Each candle has a ring worth $10 to $5,000 in it. Half the fun of the candle is the anticipation of the ring. 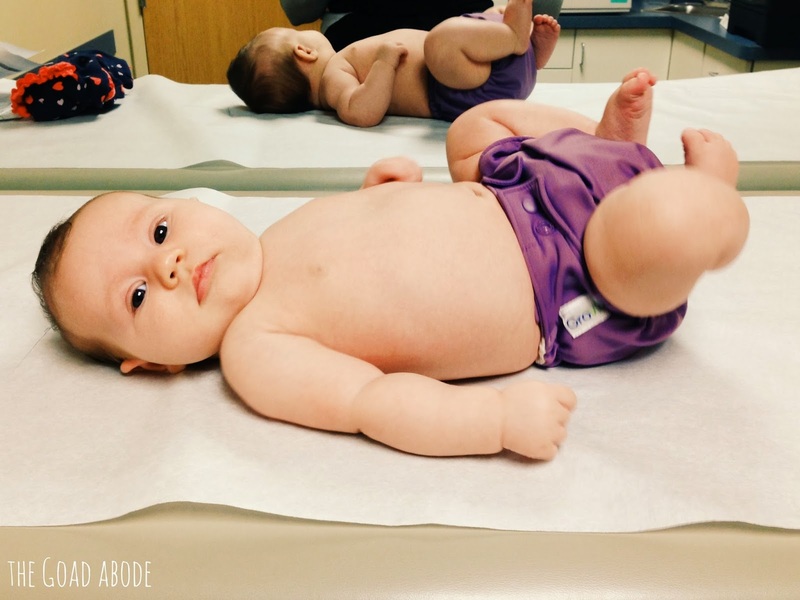 Our transition to cloth diapers went more smoothly than I expected. Continuing to work on Maggie's nursery. It isn't done, so I'm holding off on posting pictures for another few weeks. Hang a clothesline in the backyard. I keep reading the sun is the best natural remedy for stains like spit up and soiled diapers so I really need to get on this. Log 30 miles of jogging. I put on my running shoes for the first time since Maggie was born earlier this week (which means I didn't meet August's goal). Take Maggie on her first hike. Create the habit of packing tasty meals for my husband (as his crazy class schedule starts next week). Control the clutter (see inspiration below). 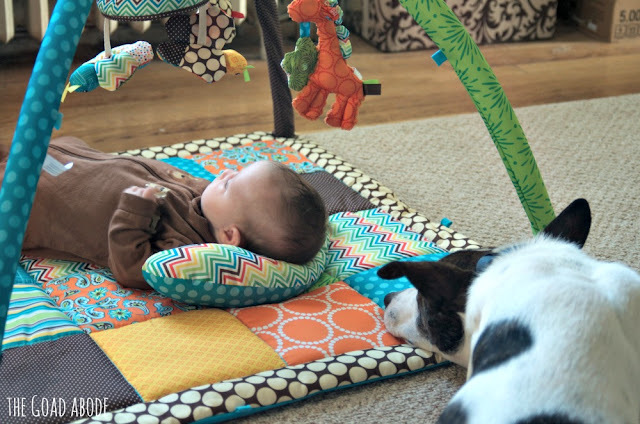 With all the baby things around the house it takes extra work for our home to feel orderly. As I previously mentioned, I'd LOVE to be Clutter Free Forever. I've already been trying to "stop the flow" and meticulously select any baby related items we acquire, but there is room for improvement. The Boy With No Toys was a great example of clutter free living. We love eating veggie laksa lately (and sometimes add shrimp or chicken). I successfully cleaned my front loading wash machine using this tip. I found a similar recipe in the March 2013 issue of American Baby magazine but the recipe called for canned tuna and mayo. After making the salad, I decided I wasn't a fan of the canned tuna in the salad. I did like the addition of quinoa in my salad and the dressing was perfect to complement the other ingredients. So I decided to make the salad again and leave out the tuna. 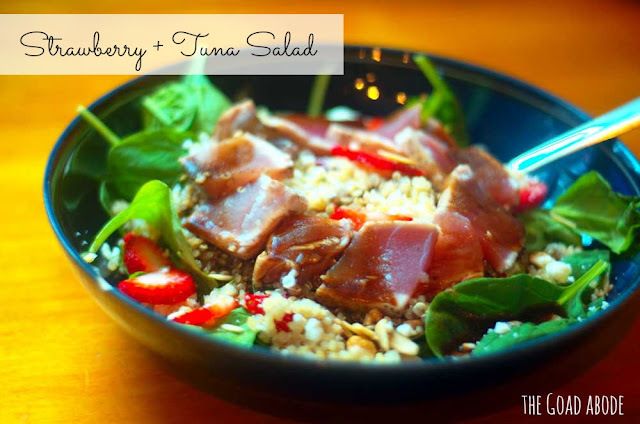 My husband suggested trying it with fresh tuna and that's how this recipe came about. Happy September! Can you believe it's already the 9th month of the year? Where does the time go? Thankfully, I still have the whole month of September to soak up more time at home with Maggie. One of my favorite things to do in summertime is get ice cream from a local dairy farm. Surprisingly we hadn't made it out for ice cream this summer until a week ago. We enjoyed Maggie's first trip to a dairy farm, but don't worry we didn't share with her. Lately, we've been seeing a lot more smiles from our baby girl. Maggie has been smiling in response. It's a daily challenge to capture one of her smiles on camera. Mornings have always been my favorite time of day, but lately they are more special than ever. We are savoring laid back mornings (until I return to work) of snuggling in our PJ's. Maggie has been working on her sitting skills. Of course we can't leave her alone when sitting, but she sure looks cute when we prop her up! I've been scouring Craigslist for a Bumbo seat (she tried out our neighbors' last week and loved it). I'm linking up with Blair for Life Lately.